At one time or another it is more than likely that we will all get a flat tyre. 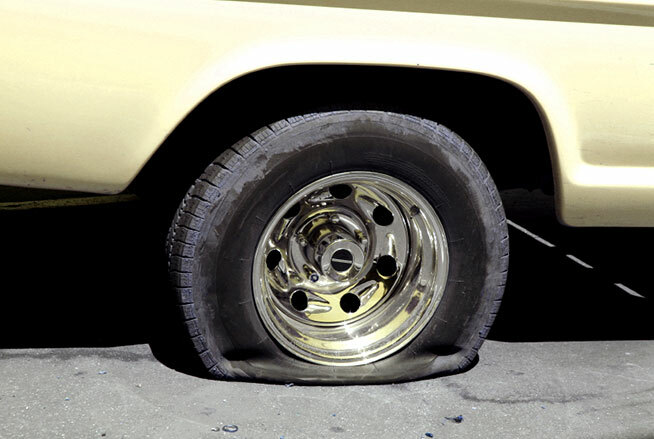 Although you could always call roadside assistance, why not learn how to change a tyre yourself? It’ll save you both time and money! Step 1: Firstly, (and most importantly), find a safe place to pull over and put your hazard warning lights on. Step 2: Find the spare tyre, jack and wrench which should be in the boot of your car. Use the jack to raise the car off the ground, just enough so that the jack is supporting the car. To find where the jack should be placed, look for a small notch on the wheels. It should be located just in front of the rear wheel wells & just behind the front wheel wells. Step 3: Remove the hub cap and loosen the lug nuts by turning the wrench counter-clockwise. You do not want to completely remove the nuts at this point. If the nuts are really tight you can stand on the wrench so that it takes your full weight. Step 4: Pump the jack so that the tyre is lifted off the ground. Ensure that it is straight. If not, re-position. Then remove the nuts completely. Step 5: Remove the tyre. If you place the tyre, flat, under the car. If the jack fails to work the car will have this to fall on instead. Step 6: Place the spare tyre on the hub, replace the nuts and tighten. Step 7: Carefully remove the jack and tighten the nuts completely. Step 8: Put all the tools back in the car and you’ll be away!